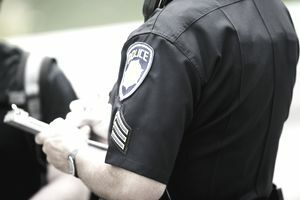 Police recruiters are often asked, especially by those with careers in criminal justice and criminology, about the possibility of lateral transfers from agency to agency. That is, can police officers, corrections officers, and other certified officers easily move jobs from one department to another, one jurisdiction to another or even from one state to another? The idea seems simple enough; in the private sector, plenty of people can find another job in their chosen field with another company or a new location with relative ease. Even for most government jobs, workers can easily get hired in a new city, county, state, or sometimes even country simply by showing they’re the best candidate for the job. The situation is not so simple when it comes to law enforcement and many other criminal justice fields. The difference is that, like doctors, lawyers and other regulated industries, policing and like careers are considered a profession. And like any other profession, professionals must be trained and – perhaps more importantly - certified to perform their job. Certification requirements for criminal justice workers often differ slightly from state to state, so that law enforcement or corrections certificates do not easily transfer. Minimum age and other basic requirements may be different so that just because you’re eligible to be certified in one state does not mean you can get certified in another. That also means that if you want to move to a new state, you will have to receive more training and pass that state’s officer certification exam to be able to work. Many certifying entities offer equivalency-of-training programs, which can allow you to demonstrate proficiencies in the high liability areas of Defensive Tactics, Firearms, First Aid and Vehicle Operations (driving) and then challenge the state officer certification exam. Some jurisdictions or agencies, however, may require you to attend an entire police academy all over again. Moving to a new department is somewhat easier, if only because you won’t have to get re-certified. Just because you don’t have to get certified, though, doesn’t mean it will be a seamless transfer. With an estimated 17,000 plus law enforcement agencies in the United States, each department has its own set of rules and policies in which you’ll need to be trained. Before you can even get to that point, though, you can expect to have to go through the same stringent hiring process and background investigations you experienced the first time you got hired. And since each agency has its own hiring standards, some issues in your past may keep you from getting hired by another department, even if your current employer was okay with them. One more major consideration when thinking about changing departments is the fact that, more often than not, you’ll be starting back at the bottom. If you have any rank, you’ll probably have to give it up. The same goes for seniority, which, in criminal justice careers means a great deal. Seniority, among other things, is often used to award shift preferences, new equipment, and other perks. While you’ll still be considered a veteran law enforcement officer, you shouldn’t expect to get the same treatment as someone who has worked for your new department for years. There are reasons you may want to transfer your criminal justice job to another state or jurisdiction, like better pay, different working conditions or family considerations to name just a few. It’s not, however, something to be taken lightly. Whether you’re looking for a change of scenery or a change of pace, make sure that transferring to another department is the right decision for you and your family.